The reasons for donating surpass much more than the direct and obvious benefits (ahem...taxes). Charitable donations are a direct reflection of your values and perspectives, not only improving your self worth, but can bring about unintended advantages. While at times it may not seem like donating a few dollars can make a substantial difference, the matter of the fact is that IT CAN. For each person thinking that their donation is not significant, there are thousands of other people out there that think the same way. If you add up all of these donations, they can in fact make a large change when it comes to treating illnesses and feeding the hungry in third world countries. You can start by searching online for charities that directly reflect what you want to help: safe drinking water, AIDS awareness, clothing, shelter, or food. From there you can decide to donate if the charity is right for you. If you're a little strapped on cash, there is a site called Freerice.com which might just be perfect for you. 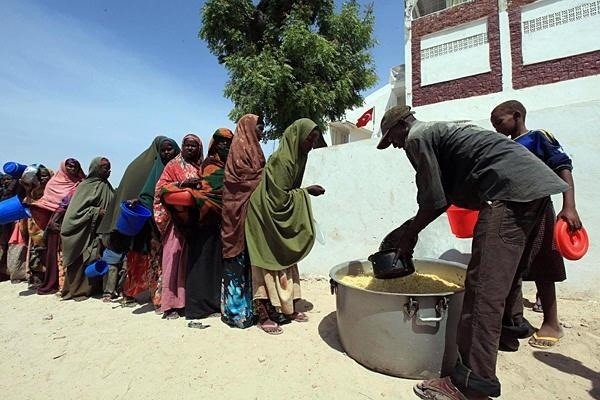 Freerice wants you to answer questions on their site, and for each question that you answer correctly, Freerice donates 10 grains of rice through the World Food Programme, who's main goal is to end world hunger. So you might be saying to yourself, "10 grains? Is that it?". If you're not convinced that this does make a difference, let me break it down. There are around 7,000 grains of rice in one uncooked cup of long grain. One of these cups of rice would probably feed 1 to 2 people. If you divide that, it comes to about 3,500 grains of rice to feed just one person. I answered questions for about 5 minutes, and got over 50 questions correct before I lost. In those five minutes, I racked up 620 grains of rice—or almost 1/5 of the total for feeding one person. If you add that to all of the others totals of people around the world also playing along, you realize that it does in fact make a huge difference. The questions for the game are fairly simple at first. In the English Vocabulary portion (which is what the questions start with), you're asked to pick which of the four answers is the most closely related to the question, like in the picture below. As you keep answering, the questions become increasingly difficult. If you miss just one question, you start all over at Level 1. The first time I played, I reached Level 21, as I was unable to correctly define what veranda (a porch!) meant. 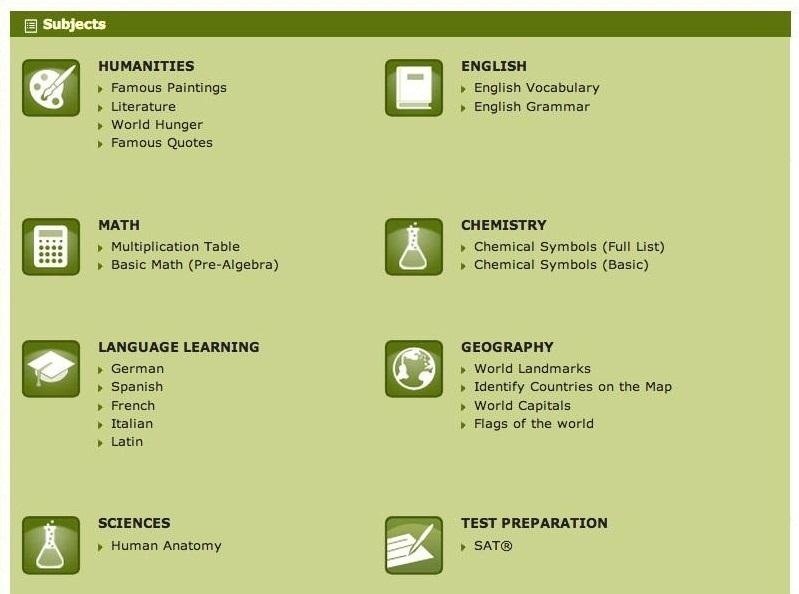 If you don't want to play English Vocabulary, you can choose from several other categories under New Subjects! (in the right hand corner of the question box) such as Human Anatomy, SATs, and Famous Quotes. 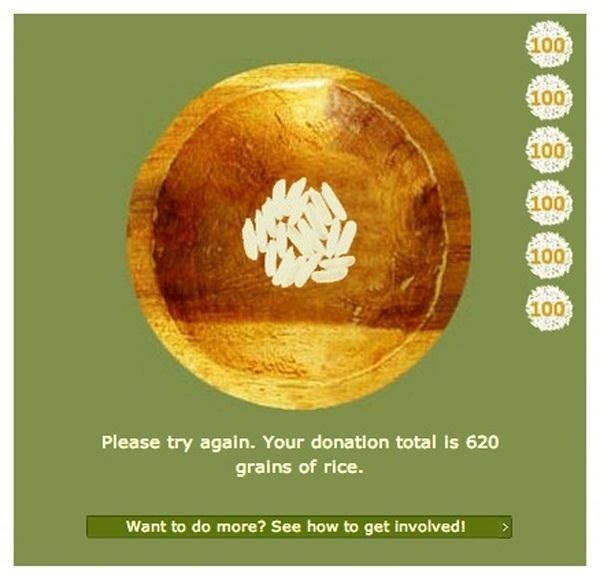 On the website, you can check out other player's statistics and see exactly how much rice they have donated. There are some ridiculously high numbers there (57,640,000 grains of rice for user cyndyr), so if you want to try and catch up you should start now. Not only is it competitive and intellectually stimulating, but also helps out someone in the world that needs it...and what better feeling is there than that? I cannot thank you enough for posting this idea. I used to go to freerice.com every other day and rack up about a bowls worth of rice. But slowly I went there less and less. Then one day I realized I hadn't been in months. It just sort of crept up on me without realizing it. 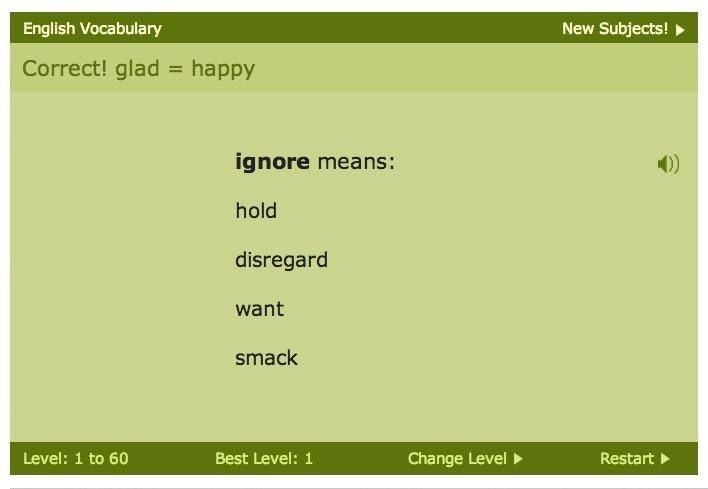 I don't know why I stopped because not only did I feel good doing it but I raised my vocabulary with each visit. In the meantime some things had been going on with my OS and I had deleted my history - and cookies, etc. to do some fixes and cleaned my registry. So by the time I remembered to go back I could no longer find the url and I had forgotten the name of the site. It never occured to me to google it because I didn't know what to call it. I thought I had saved it in my Favorites but apprantly I had not. There was one other person I knew online who was the one that originally gave me the site address and told me about it. But she had been injured and was doing physical therapy so she wasn't able to use her pc for a long time and that meant I had no way of contacting her. Eventually I forgot again. So a HUGE thank you for posting this and giving me some other suggestions as well. I'm happy to start using freerice.com again and will make doubly sure I save it in several places. Thank You! Thank You! Thank You!